In this brilliant, engrossing work, Jack Turner explores an era--from ancient times through the Renaissance--when what we now consider common condiments were valued in gold and blood. Spices made sour medieval wines palatable, camouflaged the smell of corpses, and served as wedding night aphrodisiacs. Indispensable for cooking, medicine, worship, and the arts of love, they were thought to hve magical properties and were so valuable that they were often kept under lock and key. For some, spices represented Paradise, for others, the road to perdition, but they were potent symbols of wealth and power, and the wish to possess them drove explorers to circumnavigate the globe--and even to savagery. Following spices across continents and through literature and mythology, Spice is a beguiling narrative about the surprisingly vast influence spices have had on human desire. 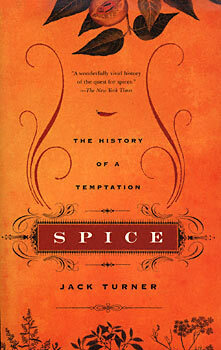 "Turner has a knack for talking about previous centuries in a way that resonates with our own times....Spice is history that hits home." "Lively....Turner's sedulous research is manifest on every page." "Turner impressively weaves a tremendous amount of information into a cohesive, pointed narrative."